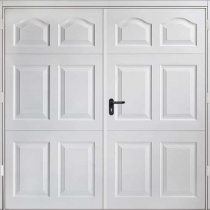 Side-hinged doors combine robust and reliable performance with simple personal access and are available in a range of attractive styles and colours to suit most modern or traditional homes. 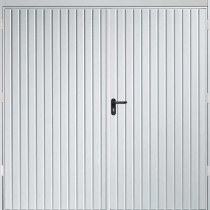 As well as opening from the centre, most side-hinged doors are available in a one third / two thirds configuration. 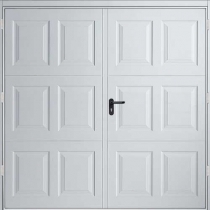 These doors can give you easy access without having to raise a complete door up. 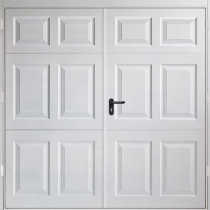 They are very practical for busy lifestyles where the garage is not used for a vehicle but requires frequent access to certain items such as bikes, toys, freezers or laundry facilities.